Set with a strong objective to do away with the social stigma associated with HIV, the ministry of health and family welfare is now resorting to social media. As a part of this initiative, celebrities are also likely to be roped in for this programme. 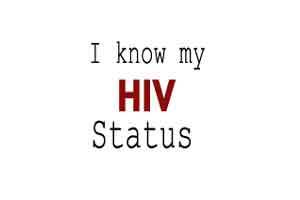 The ministry has launched a social media campaign with the catch line “I know my HIV status”. While the social media users will be encouraged to declare their HIV status on the platform, it will also play a positive role in bringing forth people to opt for treatment. This development will also contribute in making a significant impact to raise awareness about the virus, and contribute towards ending the world’s AIDS epidemic target. According to a United Nations report, 19 million of the 35 million people across the world living with the virus do not know their HIV positive status. India reports a major portion of the world’s HIV population, with 2.1 million Indians contributing to third-highest number of people living with HIV in the world. The official said that the basic aim is to get more and more people who are HIV positive under the ambit of Anti-Retroviral Treatment, so that they do not develop full-blown AIDS. As per the UN report, HIV treatment coverage is only 36 per cent in India, whereas 51 per cent of AIDS-related deaths occur here. Six countries – China, India, Indonesia, Myanmar, Thailand, and Vietnam – account for more than 90 per cent of the people living with HIV in the Asia-Pacific region. Health Ministry data shows that 64 per cent of HIV positive people in India do not have access to Anti-Retroviral treatment.